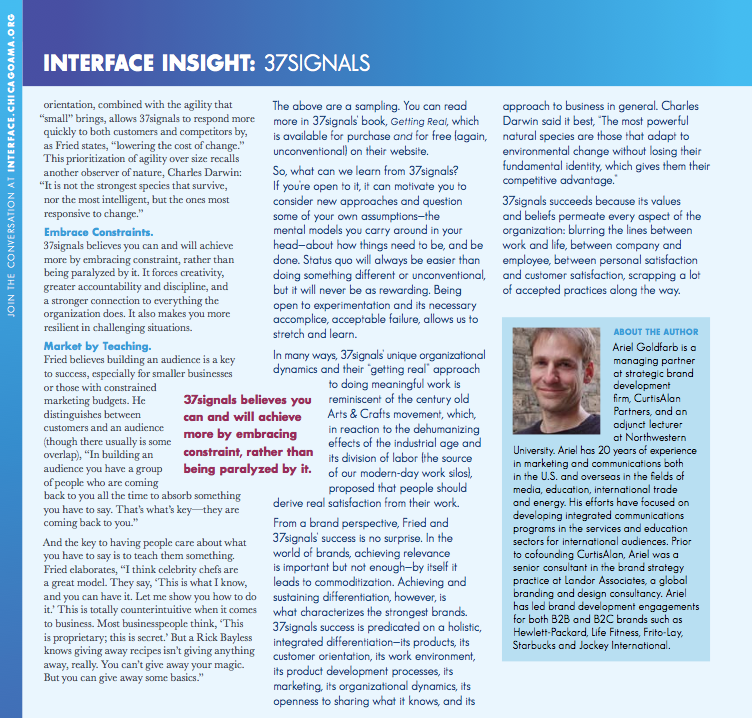 Pages 13 & 14 of the January issue of Interface (PDF) feature an article about Jason and 37signals. 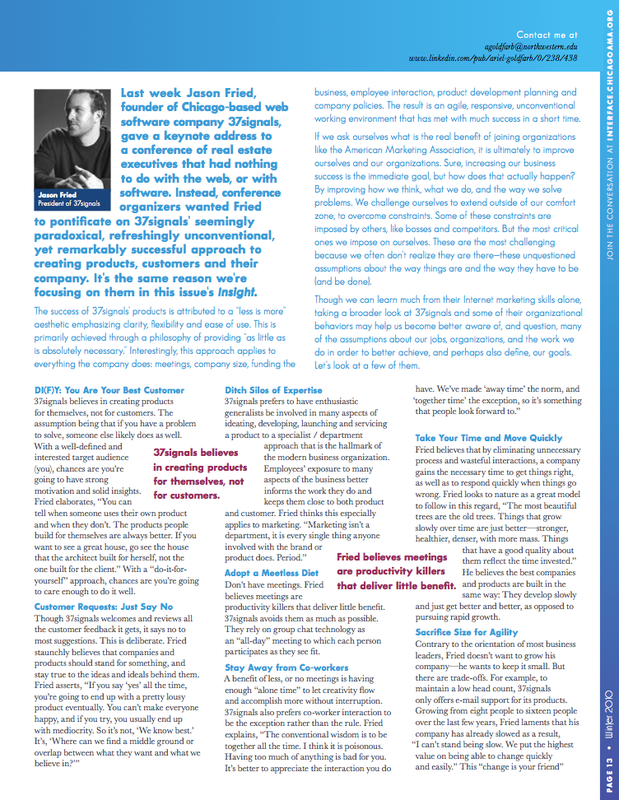 Interface is a publication of the Chicago chapter of the American Marketing Association. Basecamp wrote this on Jan 27 2010 There are 11 comments. The comment on lamenting the increase of number of employees and subsequent “slowing” would be really interesting to hear more about in a podcast or blog post. What kind of practical challenges are you guys dealing with now that you’ve passed 15 people on board? Good lord, that’s one ugly layout. The PDF is very difficult to read, any chance for a HTML version? I’ve never heard you guys (37s) cop to being a bit lucky. Where’s your post on the iPad and it’s relationship to the kindle etc? You guys never pass-up aan opportunity to post about Apple. What gives? You guys never pass-up aan opportunity to post about Apple. What gives? Meet the team, if you'd like. Read all of Basecamp’s posts, and follow Basecamp on Twitter.